Long distance with you has not been easy. I notice how much you’ve changed and you remind me that I’m no different. You tell me I’ve started forgetting the small things. That I take time to remember where we had our first driving lesson. That I need to ask for directions to Iyengar bakery. You complain about how I’ve started noticing your faults more. The gaping potholes, unkept roads and crowded buses. That sometimes, you worry that I’ll stop finding you attractive. I take a deep breath, soaking you in. The Silicon Valley of India, I think with pride. You and I grew up together. Year after year, matching your widening roads with my widening horizons. And by the time I was ready for college, you had a spanking new airport ready for me. But these days, I feel like I don’t know you any more. I don’t recognise the buildings, malls and pubs that seem to sprout overnight. That the roads have been widened and flyovers have been built. That the 335E has increased its rates. Leaving only Namma Metro, which continues to be a modest straight line between Indiranagar and Brigade, and the undeniable beauty of the handlebar moustaches on the local political party billboards untouched. I look around and helplessly demand an explanation on how or when this happened. I feel betrayed. At this point, I feel you deserve to know. I have been unfaithful. I’ve fallen for other cities. For their perfectly manicured lawns, their wide roads, organised traffic and meters that run proportional to distance, not luck. I hope you understand that I have my needs. That I am easily seduced. That I cant help myself from going through pictures and videos of them over the internet. Holding my breath, my heart racing as I spend hours marvelling at their beauty. I travel to meet them over the weekend. A quick flight and visa on arrival. Cheap, quick, no strings attached. I fall asleep satisfied, tangled up in its cuisines, landscapes and beaches. Taking with me a light, sweet memory that will soon fade over time. But you. Not once, do I forget my nights with you. As always, my time with you flies. And before I know it, I’m on my way back to the airport. Trying to ignore the unexplainable sadness in emptying my wallet to make space for shallow, beautiful, crisp dollar notes. I am always left wondering where the months disappeared as I pack my bags. My heart sinking at the thought of going back. Back to predicable, sterilized, perfection. I realise that sometimes, I just want to cross the road without waiting for permission from a blinking green man. That I want to be able to pay ‘one and a half’ for squeezing 5 in the back of an auto because adjust maadi. That nothing will ever have your flavour, your texture, your soul. A city I know. A city that knows me. Each day so defining, but altogether just a vibrant, happy blur. I load my luggage into the car thinking of the number of times I’ve had to say goodbye. I wonder why it never gets easier. I look out of my window in silence. The only time I’m grateful for the heavy traffic. This time, the sight of Bangalore International Airport makes my heart sink. You punish me for leaving you for another. Teasing me with the cool breeze, starry skies and the familiar bustle. On the days I leave you, you’re always most seductive, most beautiful. And so I board the plane, watching you get smaller and smaller with every second. Leaving behind Ammama’s onion chutney, Chilled Kingfisher Draught, Mysore Mango and Kerala Gold. Hidden treasures at Blossoms. The chaat at Anand Bhavan. The gobi at Spicy Corner. The icecream at Corner House. The vibe at Koshys. The beer at Pecos. The prices at Chin Lungs. The sound of dosa batter being poured on a hot pan every morning. Leaving behind a city that made me, piece by piece, story by story. I stay glued to my window as the plane mercilessly moves away. Looking down at the city that seems to have lit up, just for me. Watching as the little houses, cars and buildings fade into twinkling lights, and the twinkling lights fade into the darkness. Reblogged this on Mi Bitácora Geek. I really love the way you wrote. Even I have not known Bangalore yet. But I can feel what you felt. In detail you describe them in such different ways. Happy, sadness and proud. Ehmm… I’m overjoy it. Thank you so much Guandra! Good luck with you blog 🙂 Take care. hi, i have never been to banglore..
but your splendid peace of writting makes me wonder the peace of living in suchay beautiful place! Hi Krishna, I am an American wife of an Indian, now living near Vijayawada. I struggle with longing for Ohio, almost reluctant to fall for things here. Wishing you peace and authentic experiences where your wallet holds dollars instead of rupees. I am writing this comment from koramangala. It may have been only two years since I moved here, but I fell in love with Bengaluru on the very first day. Yes, it was hard in the begining, but day by day I was being engulfed by this beautiful Garden City. NAMMA BENGALURU. Loved the read! As a bangalorean who moved out , i miss it so much! thanks for the writing! It isnt mine 🙂 But yess, its gorgeous! Beautiful post! poetic writing! Thanks for showing us a picture of Bangalore in words. This was beautiful. I feel the same way every time I visit my home state Assam like a tourist. It’s heart breaking. But like you said, we hold on to the precious memories and wander on. That is whenever I read anything about the city. That is when I read this. Hahah awww 🙂 Thank youu! Beautifully written,had goosebumps..! Could relate to each and every word. I have been in Bangalore for exactly 46 hours, and I can imagine how one can fall in love with the city which has so much character of its own. I read this post like a long prose about Bangalore, great stuff. Cheers. I visited Bangalore for the first time this year to meet a friend and enjoyed it so much. Thanks for bringing back the feel of the city with your lovely post. I too am looking forward to going back someday – there aren’t many cities with such starry skies. the language you use is extremely lucid but are able to encompass in them the entire essence of what you want to portray by just the right choice and sequence. It is really really good. delight to read your blog. Thank you so much, Deepak. Wow. 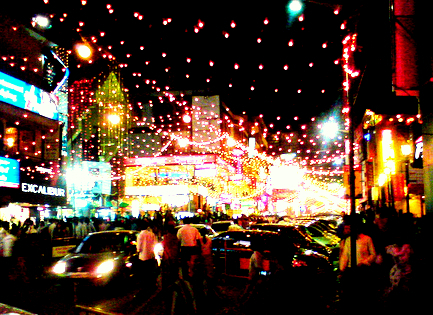 Bangalore was my home for one and half years and me and my boyfriend fell in love with it. Have awesome memories of Indira Nagar and HRC ! You have written a beautiful piece here. I felt all the emotions come alive in me as I was reading it. I could not help leaving a comment. U made me miss Namma Bengalooru a million times more.. 😦 wonderful write up.. Keep rocking.. Cheers!! Oh my, very much so. This is an amazing read. I could totally visualize the descriptions, the sound of dosa on the hot pan, 335E, Corner hose, etc. Reminiscing Bangalore days! Beautiful, beautiful piece of writing. It is like you feel what we feel , and express it a thousand times better.